Since the U.S. toppled the Taliban in 2001, hundreds of billions of dollars have been spent to rebuild Afghanistan. 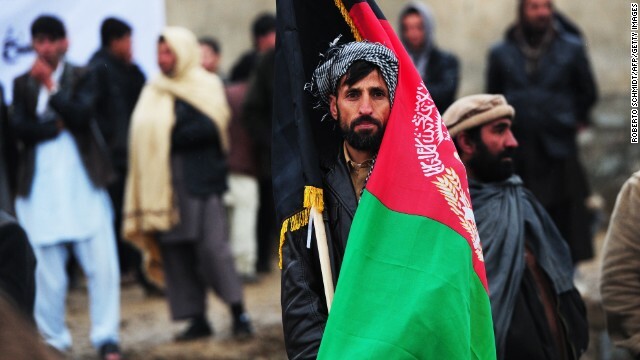 A political collapse would eviscerate that investment, hurt the emerging generation of modern Afghans, and raise the question of whether Afghanistan can ever be saved from its political demons. The damage to U.S. prestige would be incalculable. The political crisis was set off by the second round of the presidential election, launched in June. Unofficial early reports indicated a large victory for the reformist technocrat Ashraf Ghani over his rival, former Foreign Minister Abdullah Abdullah. Ghani had trailed Abdullah in the first round, when eight candidates ran. These troubling omens prompted U.S. Secretary of State John Kerry to travel to Kabul, and his mediation saw Abdullah agree to cooperate with the counting process in exchange for a guarantee that the next president would share power with the loser, and that the vote would be audited under international observation. But the audit agreement was unclear on crucial issues such as how to determine valid votes, whether invalid votes would be excluded, and who was responsible for deciding on all this. The United Nations intervened to clarify the murky issues left by Kerry’s mediation, and U.S. President Barack Obama invested his personal prestige by calling both candidates a number of times, urging them to respect the agreements already made. But this is no longer simply about the election. And, thanks to a number of poor decisions taken last year, the future of international support to Afghanistan is at stake. Why? For a start, President Hamid Karzai left to his successor the signing of the bilateral security agreement he negotiated with the U.S. The agreement provides the legal basis for U.S. and NATO troops to stay in Afghanistan beyond 2014, troops that will provide essential enabling support to Afghan soldiers who are on the front line and ranged against an increasingly menacing Taliban. Second, President Obama stated that if the BSA is not signed this year, all U.S. troops will leave by the end of 2014. This places a logistical deadline sometime in the fall to begin an accelerated withdrawal. Meanwhile, the administration’s decision to withdraw all U.S. troops by the end 2016 saps the confidence of Afghans in an internationally-backed future. Afghan troops themselves must increasingly wonder whether it is worth fighting for a government that cannot figure out who should lead it, and whether it will be supported by the U.S. after 2014. As in a Greek drama, each player follows their own strategy, but the combined effect is tragic. The candidates fight over ballots. The U.S. remains committed to a withdrawal timetable, regardless of consequences. Karzai nurses old wounds and still refuses to sign the BSA. And as all this unfolds, the Taliban is taking advantage of the political paralysis and uncertainty. This week’s attack, on the outskirts of the capital, is simply the latest, tragic evidence. There is, however, a solution, but it is one that requires compromises by those who have a stake in a stable Afghanistan. It is clear that Karzai should sign the BSA immediately, while the Obama administration should reconsider its troop withdrawal timeframe, basing it instead on clear conditions on the ground rather than an abstract timetable. And the two candidates should also agree to abide by the result of the audit on the United Nations’ terms. The only ones who don’t have to change their strategy to come out on top are the Taliban. For those of you who are worried about the Taliban, I say turn Afghanistan over to India or better yet, J apan and let them deal with the situation there for a change! We already did enough damage as it is! Well said, the GOP Solution. I agree. Let's just give Afghanistan back to the Taliban and call it quits. We did very bad job there as we did In Vietnam and Iraq. When will we ever learn??? We lost Afghanistan when Obama told the Taliban that we would quit in 2014. All they had to do was wait. We've seen this play before. Obama will fail to negotiate a stay behind agreement (as he did in Iraq) and blame it on the Afghani's. Karzai is quite a malicious game-spoiler. He wants to settle a score with the US because he felt betrayed by Washington in the 2009 election. Therefore he didn't sign the BSE, saying it should be left to his successor. He threw his weight behind Ghani to annoy Abdullah. The Taliban doesn't want the BSE be signed and takes advantage of the turmoil to destabilise the country. Yet many Afghans want the US to leave residual forces behind after 2014 because they have no confidence in their security forces.